Lufthansa plans new first class suites for Boeing 777X? Lufthansa is expected to roll out a new first class suite on its long-range Boeing 777X fleet, although the initial deliveries of the 777-9 series will top out at business class. This will of course be the Star Alliance member's all-new business class, which will begin flying from 2020 and offer not just direct aisle access for every passenger but a series of solo 'throne' seats in the middle of the cabin, providing additional privacy and added personal space on either side of the passenger. Those early 777-9s will arrive without first class "because they will replace elderly aircraft that also don’t have a First Class cabin”, Lufthansa CEO Carsten Spohr commented on the sidelines of an airline conference in Berlin. 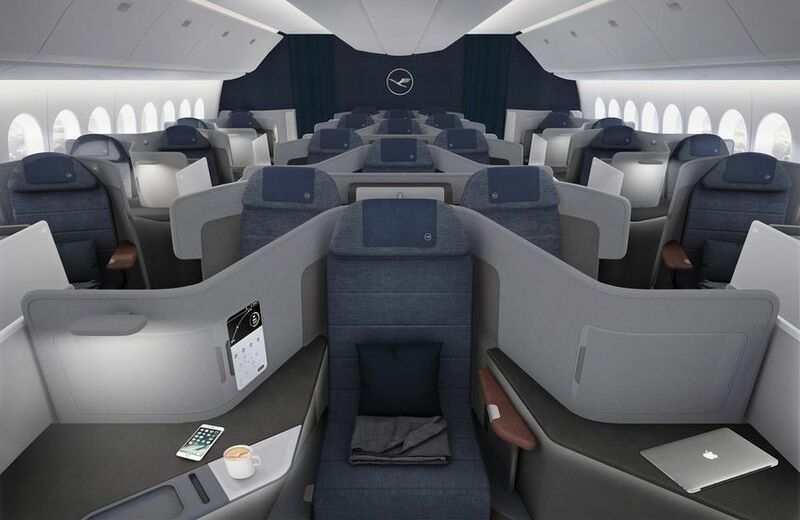 Lufthansa plans to have seven Boeing 777-9s delivered across 2020, with those jets based in either Frankfurt or Munich, but a second tranche of 777-9s is tipped from 2021 will see the debut of new first class suites. "In general, we want to keep the share of First Class-equipped aircraft in Lufthansa’s long-haul fleet at the current 50 percent," Spohr added. Lufthansa had previously considered replacing first class with a 'Business Plus' cabin on some Boeing 777-9 jets flying routes with insufficient demand for a full first class cabin. However, "first class is developing better than we’d imagined three or four years back," Spohr told Lufthansa staff in a recent briefing. "We’re looking at routes where it makes sense, where we have the customers who want it." To be Fair, LH is one of those airlines (like BA) that could accommodate First Class in many of its routes. Although their new Business Class on B777X would be one of the best one, especially with the throne seat. They really need to come up with amazing firat class seat. The classic 1-2-1 config won't work no more with such amazing business class seat. They should have "Cersei Lannister" (Lena Headey) sit in the front middle seat representing the Iron Throne. So will LH go for the SQ & EY with just 4 F seats. Or continue with 8. BA & AF have all lost direction as to what their customers want. Comment on "Lufthansa plans new first class suites for Boeing 777X?"